Plantains are kind of like bananas, but used only for cooking applications. This is due to their firm texture and bitter taste. Plantains are great for an addition to a main course or as a snack (cooked, of course). Learning how to cook plantains is extremely easy. The best way to cook plantains is to take the peel off then slice the plantain into small slices. Heat a pan on the stove big enough for deep frying. When the oil is hot fry the plantains until they begin to float. This should only take a couple of minutes. Drain the plantains on a paper towel and sprinkle with a little bit of salt or a little sugar. 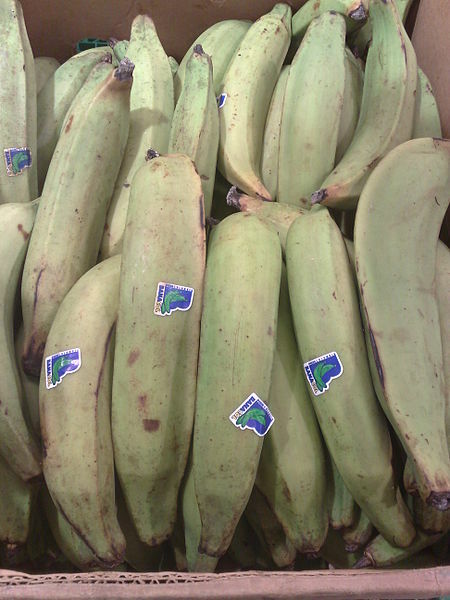 Plantains can be also be mashed, broiled, or added to various soups. To make a popular drink a plantain is boiled then blended with a mixture of sugar and water. Plantains have a lower sugar content then bananas. Plantains are a good source of fiber and potassium. This fruit is popular in Caribbean cooking.